Murphy Medical Associates (Greenwich) - Book Appointment Online! 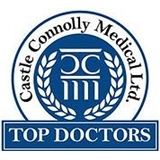 Recently named to America's Top Doctors by Castle Connolly, we are the foremost center for preventative primary and personalized care for patients in the Greater New York Metro area, especially serving Fairfield and Westchester counties, being conveniently located in the center of Greenwich, Northern Stamford and Stratford Connecticut. In addition to comprehensive primary care, we are the area's specialty center for allergy assessment and therapy as well as medical weight loss and weight management, women's health, advanced cardiac imaging and prevention services, urgent care, and chronic care services. Our locations provide walk-in visits, early morning, late evening, and weekend appointments. Dr. Sheets addressed all my concerns with humor and interest. I spent my entire appointment with him, unlike at other practices where you wait forever to speak to your doctor for five minutes. Amazing!!! He was so helpful, honest, and professional. I can’t wait for more visits. I saw Celeste instead of Dr. Murphy. My only issue with this practice is the confusion that centers around scheduling.